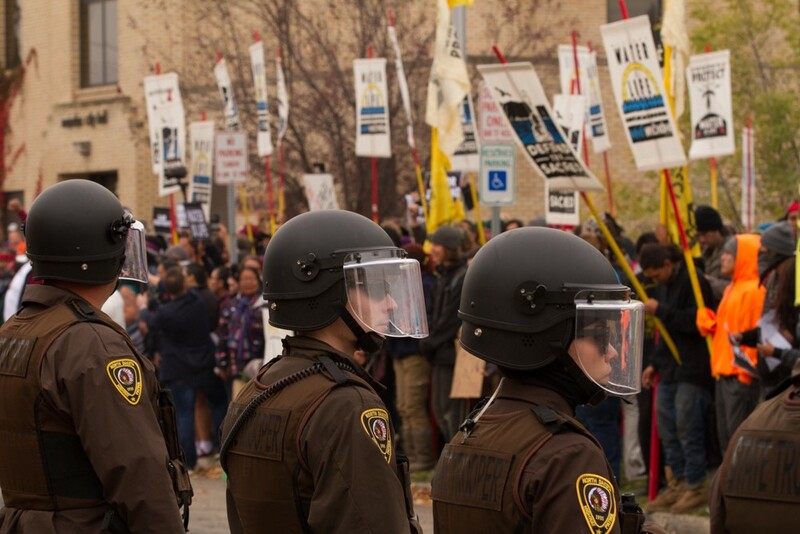 This week, the governor of North Dakota announced that the encampments of water protectors, #noDAPL activists, and allies were under an emergency evacuation order. This announcement comes on the heels of a letter from the Army Corps of Engineers stating that the water protectors have until December 5th to vacate the Oceti Sakowin camp. Police face water protectors at Oceti Sakowin camp. Photo by Toni Cervantes. In both cases, the government agents cite harsh winter weather conditions as their reason for demanding the close of the camps. But as Native scholar Adrienne Keene recently noted in an interview, the indigenous peoples at Oceti Sakowin camp and Standing Rock have been surviving harsh prairie winters for hundreds, if not thousands, of years. They are actively preparing themselves and the camps — building structures like teepees and windbreaks, gathering supplies and donations (if and when allowed), tending to each other’s health and heating needs. If the water protectors are forced to leave Oceti Sakowin camp, the ensuing scenes will look, as so much of the violence already committed by militarized police against unarmed Native people has looked, like a modernized version of the violence and oppression that forced Native Americans onto reservations like Standing Rock in the 1800s. It will look like history — dumbly, horrifically, inexorably — repeating itself. We don’t talk about that history enough. White people, I mean. We should talk about it more, but we just don’t. And when we do talk about it, we are told, as a girl in my 10th grade English class once told me, “Oh my god, shut up, everyone knows.” Everyone knows about forced resettlement, everyone knows about the Trail of Tears. Shut up, it’s so boring, there’s nothing left to say. But there’s so much left to say. For my part, I want to start by owning my family’s place in the historical trauma still playing out on the prairie. I consider this important work — surfacing how whiteness has worked for my family, giving context to the grinding violence of white nationalism and the privileges it confers. Not to absolve, but to understand. Not to dwell, but to ground. I’ve never been to North Dakota, but my family has. Among my dozens of Kashubian (Polish) Catholic great-great-uncles, a few left Minnesota for North Dakota at the turn of the twentieth century. They settled in Beach, some 200 miles west of where Oceti Sakowin camp now stands. 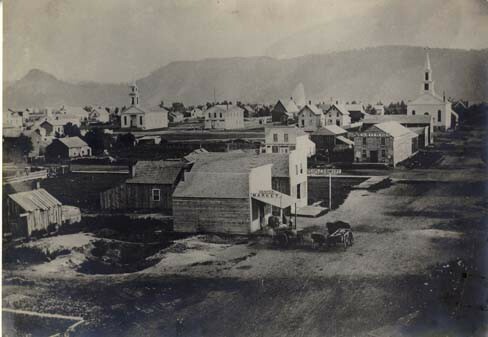 More of my family, including my direct line, stayed in the close-knit Kashubian community of Winona, Minnesota — just across the state line from Dodge, Wisconsin — where our patriarch settled in 1867. My maternal great-grandparents farmed outside of Dodge, on a road named for our family, until the 1970s. 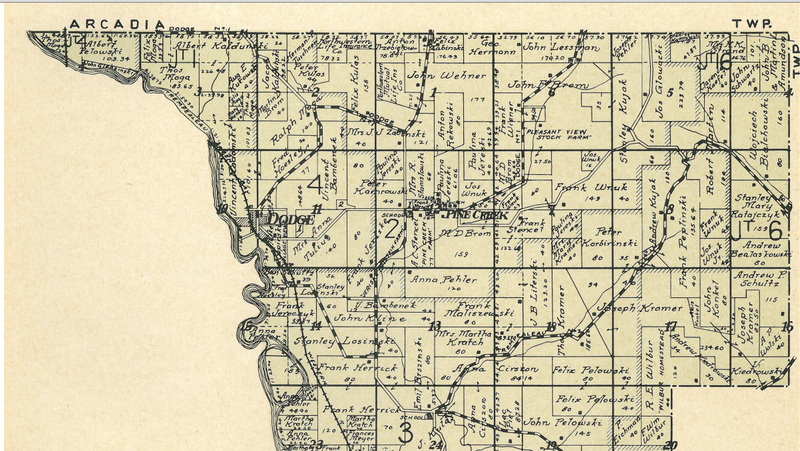 Farm plot map of Dodge, Wisconsin, and surrounding areas, 1930. Their farm is in the upper left corner, 40 square little acres nestled among plots big and small belonging to their neighbors, who were community members, friends, and family. That 40-acre farm is a violence done by my family to the indigenous people of the area. It is also a violence done to my family by the United States government. It is both. Neither cancels the other out. In a recent article, Sarah Kendzior points out that Polish immigrants like my family weren’t considered white when they first came to the United States in the late 1800s. They had to become white. They had to be made white, drawn into whiteness when (and only when) it became politically convenient for that privilege to be granted. As the history of the Poles in America shows, whiteness has always been a malleable category, used for political exploitation. I’ve amassed all this genealogical research within the past few years. I grew up very, very far from Minnesota. As I’ve written elsewhere, we didn’t talk about family much in my family. I didn’t know my grandfather’s first name until I was 23. Other branches of our huge Catholic family put a lot of the research together; I extended it one summer as best as I could. That’s the excuse I give for not learning how my family came to their land until recently. Frank Blackwell Mayer. 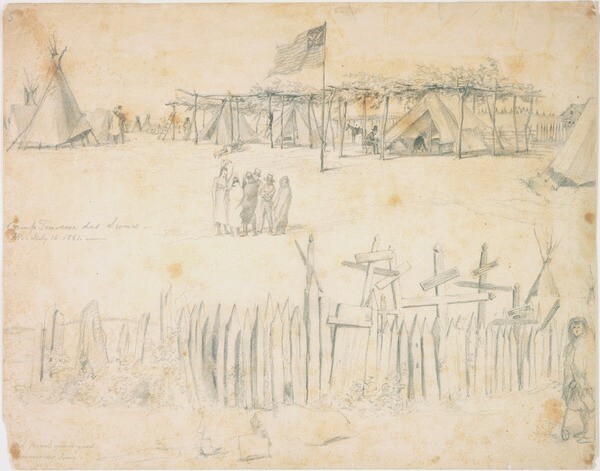 “Camp and Graveyard, Traverse des Sioux.” 1851. That “transfer” was the signing of the Treaty of Mendota, in which the U.S. promised to let the Sioux accumulate interest on a sum “paid” for their land, provided the money was used as the government stipulated. The uses included “the establishment of manual-labor schools; the erection of mills and blacksmith shops, opening farms, fencing and breaking land, and for such other beneficial objects as may be deemed most conducive to the prosperity and happiness of said Indians,” “a general agricultural improvement and civilization fund,” and “an education fund.” In other words, the U.S. government would provide the Sioux a fraction of what their land was deemed worth, and only if they agreed to use that money to assimilate into capitalism, industrialized labor and farming, and white, Western standards of learning. The Sioux went. But the money never came. Instead, the treaty violations contributed to factors leading up to the Dakota War of 1862, which ended with the public execution of 38 Dakota men — the largest mass execution in U.S. history. Five years later, my great-great-grandfather settled on his 40 acres — that perfect square carved out from land that was once stewarded by indigenous people who belonged to the Oceti Sakowin, the Seven Council Fires. The government couldn’t force Native Americans to assimilate, so they moved on to other targets. 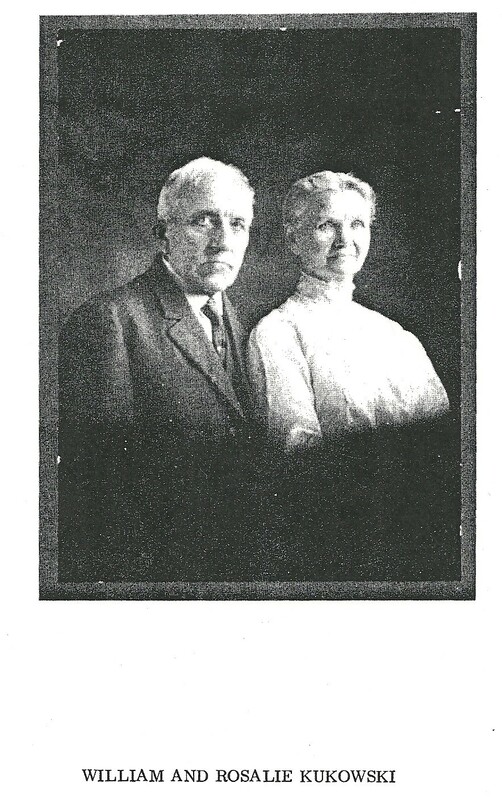 Great-great-grandparents, from a family genealogy resource. My great-great-grandfather came from a very small town in north-central Poland. I imagine he was attracted by the U.S. government’s promises of land and work. But he was a pawn, used by a government who had too much land to control and too many enemies to quell. Also in 1862, President Lincoln had signed the Homestead Act into law, meaning that anyone who had never “taken up arms” against the U.S. could acquire cheap land if they promised to “improve” it (i.e. farm it according to Western agricultural models). Lincoln’s administration needed bodies to fill up that “empty” land, to hold it against the Confederate rebellion and the displaced indigenous peoples, to create a network of economies and markets with their labor. The same government made my great-grandfather register for the draft in 1917 and 1942. They sent my grandfather to fight in the Korean War. 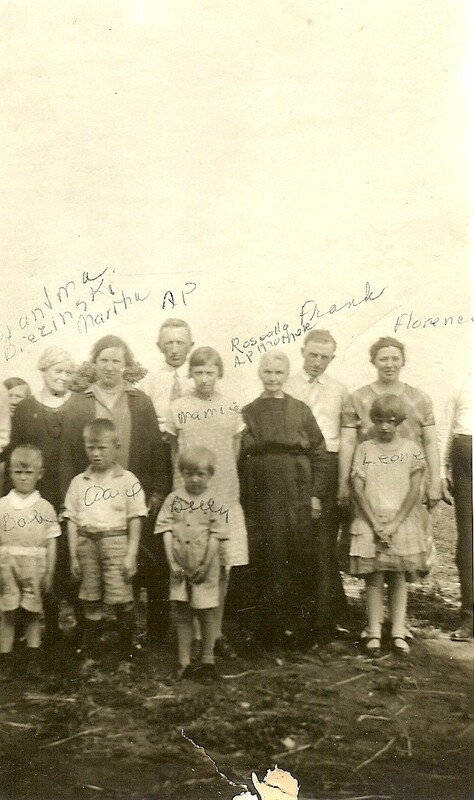 My great-great-grandmother Rose with some of our family. My family did okay — fluctuating between working and lower-middle class for pretty much our entire time in the United States. But we also did bad. Not badly, but bad stuff. Our striving-for-solid-middle-class existence is all predicated on acts of state violence: both the political instability in what is now Poland that made immigration attractive, and the U.S. aggression against native peoples that made immigration possible. From a homestead built on stolen land, my family carved out an existence here. And in the process, we became agents of state violence ourselves. But no one taught me this. I had to find it myself. I had to piece it together from lost bits of history and photographs and old maps and sources that would rather lie to me. That sounds a lot like many immigrant stories I’ve read, but there’s a difference. White supremacy would prefer I never learn these things. White supremacy would prefer me “blank,” “pure,” and set against all the “impure,” “marked” people who wear their immigrant histories on their skin. This is what whiteness does: it separates us from our immigrant histories. It conscripts us, willing or unwilling, into its violence and oppression against those who cannot pass. I try every day to refuse. Please consider donating to the Oceti Sakowin camp and the #noDAPL water protectors who are doing so much for all of us and our earth.